Our brass Pneumatic Fittings is suitable to use with liquid piping systems and they are taken best for new installations and to replace old ones as well. 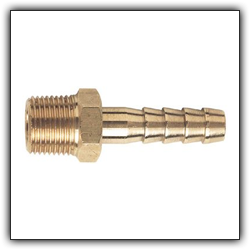 We specialize in manufacturing brass fittings as per our clients’ needs and requirements. Our product evacuates need of any other extra fittings and it will decrease overall costs of fitting installations eventually. We make sure that our brass fittings are available in most amazing designs and specifications as needed by our clients. Our relevant industry experience and deep domain knowledge makes us extra suitable for manufacturing and exporting Brass Pneumatic Fittings India. By utilizing advance range of tools and machineries, we make our brass fittings suitable for large scale production and plants. Our products are not only exported in Indian markets but overseas too. The immense capability and features of our products are the reason why they are so popular in global market. To know more about our product range and to get custom solutions from us, contact our expert team now.